TL;DR: Going forward, each CLS West Unmeetup gathering will be part of an agile community process for organizing the next CLS West Unconference. Note: CLS stands for Community Leadership Summit. The first CLS was organized by +Jono Bacon in the summer of 2009. After the recent +CLS West Unconference, I have decided to take the CLS West Meetup in a new direction. In particular, I want to thank +Kaliya Identity Woman, +Randy Farmer and +Harold Shinsato for inspiring me to do so. Kaliya has gratiously donated her professional unconference facilitation services to the CLS West Unconference for the past 4 years. When we met to prepare for the most recent one, we discussed why I started this three years ago and what was I hoping to accomplish through these annual unconferences. At the time, I didn't have a good answer. I do now. How I got started is easy to explain. I attended the original CLS Unconference organized by +Jono Bacon. When I learned that future CLS unconferences would be held in conjunction with OSCON in Portland, I told +Marsee Henon that I wished we could continue to hold such events here in the bay area. She encouraged me to organize them myself here in the bay area and she would get +O'Reilly Media to support it. I did, she did, and here we are today. Many more people too numerous to mention were key contributors to CLS West. However, I have to call out +Dave Nielsen because he has been as critical as Kaliya to the success of the CLS West unconferences all four years. What I hoped to accomplish with our CLS West gatherings is a bit harder to explain. For those of us that do community work, it can be both exhilarating and incredibly draining at the same time. Ironically, this work that involves interacting with lots of people on a daily basis can also be a lonely job. The goal from the very start with CLS West was to form a meta community of community managers here in the bay area. A community with gatherings more than just once a year. Although our annual unconference has been quite successful, I have been unsuccessful in sustaining that success throughout the year in the CLS West meetup gatherings. Even worse, organizing the unconference and the ongoing CLS West meetups was itself becoming a personal energy drain rather than an energy infuser. This is where +Randy Farmer enters the picture. At the recent Community Manager Appreciation Day event in San Francisco (instigated by +Jeremiah Owyang), Randy approached me about helping with yet another event for community managers here in the bay area. I indicated that I would love to be part of the organizing team, but, that I did not have the time or energy to take a lead role. He laughed and said that this was the same response he received from every #MetaCmgr like myself in the room that he had approached that evening. As we talked further, he made the observation that it should be possible to organize their event in a Stone Soup manner where no one person had to take a heavy burden in producing the event. In theory, I thought it was a great idea. Less than a week later at the CLS West Unconference, I led a breakout session with the title "Stone Soup: CLS West 2014." I brought up my recent discussion with Randy. 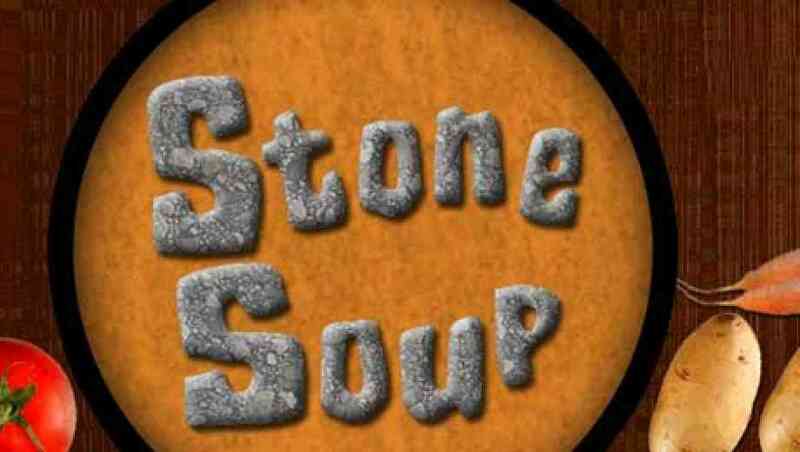 I threw out the challenge of how could we organize the next unconference a year from now in a more collaborative manner ala the Stone Soup story. +Harold Shinsato made the observation that the soup was created in an agile manner. The community iterated on the soup making additions until the soup was complete and ready for consumption. The earlier discussions about CLS West goals with +Kaliya Identity Woman, the Stone Soup discussion with +Randy Farmer, and the similarities pointed out by +Harold Shinsato between the scrum agile development process and the Stone Soup story all led to my "Aha! Moment." Why not repurpose the smaller CLS West gatherings between our annual all day unconference events as part of an agile community process with the end goal being the successful community driven execution of the next unconference? I need to digress here and briefly describe the relevant aspects of the Scrum development framework with respect to this discussion. Sprints are the iterations where the work gets done. There is a planning meeting at the start of each Sprint. There are separate review and retrospective meetings at the end of each Sprint. We will need to compress this process for our purposes. The time between each CLS West Unmeetup will be the duration of each Sprint. At each meeting, we will first review our progress from the current Sprint. After that, we will conduct a brief retrospective to discuss what went well in this Sprint and what can we do better in the next Sprint. Finally, we will decide what we want to accomplish in the next Sprint and who will be responsible for those things. Phew! I am finally ready to explain what a CLS West Unmeetup is. It is not your traditional meetup here in the bay area held typically in some large company meeting space with a corporate sponsor for the food and/or drinks where some well known person gives a talk and afterwards there might be some group discussion. Rather, I envision meeting ideally in someone's home. Rather than having a corporate sponsor for the food, it would be a potluck meal where everyone brings something to contribute to the meal just like in the Stone Soup story. At a CLS West Unmeetup, there won't be a designated speaker for the evening. Instead, we will have a leisurely meal first. Afterwards, we will conduct our agile community process tasks of reviewing and reflecting on our progress since our last meal together and making plans for the work to be done between then and the next meal gathering. If time allows after that, we will have one short unconference style session where topics are thrown out and we choose one to discuss. Of course, the law of two feet would apply and those not interested in the main topic could find a separate space to discuss other topics or simply leave early. What really excites me about this new direction for the CLS West Meetup is that it addresses my larger community goals for CLS West and at the same time has the potential to convert the annual unconference planning process into a life giving rather than an energy draining process for me personally. If you have read this far, then I hope you will join me in the agile community process grand experiment that I am calling #MetaCmgr Stone Soup (AKA CLS West Unmeetups). If you would like to get involved, the first thing to do is join the CLS West Unmeetup. The second thing to do is join our CLS West Google Group. That group will be for discussions between our unmeetup meal gatherings about the ongoing plans for the CLS West 2014 Unconference.